I recently had an argument with my wife about cell phones and driving. 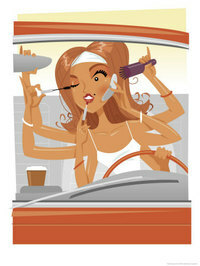 I believed that women talked on cell phones while driving more than men. She didn’t agree. So, I got curious. I sat in my driveway for several hours and counted how many men and women I saw drive by on their phones. I took a 1,000 car sample, and what do you know? The numbers came out even. Even though I proved my own wisdom wrong, I’m proud to say that I questioned myself. I got curious and took action to find out whether or not I was right. One of the biggest things I’ve done for my career is to schedule learning time. Ever since I was 20 years old, I’ve scheduled two, two hour sessions each week to do nothing but think and try something new. I also spend one day of each month doing the same thing. I read a trade journal from an industry I know nothing about, or I go to the junk yard. Last year, I actually went to kindergarten for a day. I’ve even read a couple of chapters in a Danielle Steele book (I almost threw up, no wait … honestly I did throw up) – just to make me think about something in a different way. How many people do you know that actually do that? How many people actually schedule time to think about new things and learn? Quite frankly, not enough. The expert is probably not the best person to approach to find new ideas. An expert is the authority on a subject because they are well versed in conventional wisdom. Specialization is a fact of life, but specialization also limits creativity. There is a great need for cross-fertilization to generate new ideas. Rather than asking the expert, purposefully pick someone in a different industry or department to talk to. If you’re ever in need of a new sounding board, go to score.org. This site is run by a bunch of retired CEOs and executives who have nothing to do but give you their advice (for free!). On the drop-down menu of industries, select someone in a field that has nothing to do with your problem. If you have a marketing question, pick an IT guy – and pray. Of course, you’ll have to send your target an e-mail that explains why you’ve picked them; otherwise their first reaction will be “you’ve got the wrong guy.” You’ve got to tell them that you don’t have the wrong guy – that you picked them because you’re looking for a new perspective. Try that out for some fresh ideas. You can also take somebody that you really hate out to lunch. Yes … someone you truly hate. Present the problem or issue that’s been troubling you and then shut up for 15 minutes. You probably won’t have an easy time keeping your mouth shut, but just try anyway. I promise they will say something that will make you think of something creative that you hadn’t thought of before – and you might just find out that you don’t actually hate the person. Challenge yourself to do something new. Schedule a time each week to do something to spark your curiosity. You can even start small. Try taking a walk each morning and looking for 10 new things that you have never noticed before, even if you have walked that path 1,000 times. You’d be surprised by how much more you’ll notice about your world when you look at it from a new perspective. Read both these passages again. Remember: 100% of the time, at least a part of conventional wisdom is wrong. If you never stop to question what you already know, if you never stop to indulge your curiosity, you’ll never discover anything new. Remain curious, just like our friend Lenny. What do I know? I am just Doctor! My doctor’s real name isn’t Becker, but the role played by Ted Danson in the popular sitcom proves a remarkable likeness in personality. One day, I was sitting in my doctor’s office anxiously waiting to hear the results of my most recent cholesterol screening. The previous year my cholesterol had gone up just slightly, which was very depressing. I essentially had no exercise regiment prior to that, but afterward I went into fat-free mode and started walking 4 miles a day. In spite of my protests, my doctor put me on a low dose of blood pressure medication. I don’t even like to take aspirin. As a result of my hard work, I was certain my current cholesterol level would be outstanding. I couldn’t wait to hear the great results. Unfortunately, the test results painted a different picture. My cholesterol level was 30 points higher. When something makes no sense to you, your curiosity needs to kick into high gear. Well this surely qualified as nuts to me. Yes, I was a year older, but… come on. The test results couldn’t be right. Most people would probably just do as the doctor ordered, but I almost never take anything at face value. So I racked my brain for days. What else could be causing this spike? What had changed in my life in the last one or two years? I was exercising more and eating better, but my cholesterol was going in the wrong direction. The only thing I could come up with was this: two years prior to the test I started taking a dietary supplement called glucosamine sulfate. I had read that this supplement helps with joints; elbows, ankles and knees, and as I had sprained my knee a few years ago snowshoeing, I thought that this nutrient might ease the pain I felt on walks. Aha! I’d found the smoking gun. I went back to Becker to explain my discovery. “I found this information about glucosamine sulfate on the Internet….,” I began. So I handed him the printout of the article with the Arthritis Foundation logo prominently displayed at the top of the page. Thirty seconds of complete radio silence. So I did. Two months later, my cholesterol was 30 points lower and back under the limit. If I did not have a curious nature about most everything I would have been on another needless medication. It pays to peel the onion back. If you thought I was going to say the cat, you couldn’t be more wrong. I hate that saying. Curiosity hasn’t killed anything – in fact, curiosity itself is killed by conventional wisdom. At times, creativity doesn’t require any more than some plain old common sense and a little curiosity. 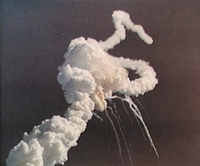 On January 28th, 1986, the Space Shuttle Challenger exploded during launch. The cause of the catastrophe was eventually revealed to be the Solid Rocket Booster (SRB) O-rings. It was widely reported that the O-rings failed due to the cold temperatures at the launch, but could the weather alone really have caused the accident? At the time of launch it was 36°F outside, but the outside surface temperature of the SRBs was, on average, 12°F. How in the world could the SRBs be 12°F when the temperature outside was 36°F? Most people ignore this discrepancy. I suppose they assume the difference was due to “wind chill.” Wind chill, however, is a phenomenon that only people and living things can experience. Wind chill does not relate to actual temperature. Wind chill is the sensation you get when cold air blow across your skin and removes some of the heat your body has produced. All wind chill does is makes you feel colder. But for something that is not alive, like the Space Shuttle, there is no such thing as wind chill. So you have this 36°F wind blowing past the SRBs, yet the SRBs are only 12°F. Now 36°F sounds cold to you and me, but that’s a warm temperature compared to 12°F. This 36°F wind should have heated the SRB to 36°F as well, but it didn’t. The SRBs couldn’t possibly have stayed at 12°F unless something was keeping them that cold: something that has nothing to do with the weather. This mysterious coolant would have to be something really, really, cold to keep the SRBs at 12°F with all that hot air blowing past. Consider this real-life application. You’re at the beach with a cooler full of beer on a warm summer day. The beer is chilled to perfection. You pop open a beer and stick the can in the dirt. What do you think is going to happen? Well, you know what’s going to happen. The beer is going to get warm. The beer can’t stay cold unless something is keeping it cold. The only thing on the launch pad that I know of that has that kind of cooling power was the liquid hydrogen (423°F below zero) and liquid oxygen (297°F below zero) in the external tank. In the 1980s the External Tank (ET) experienced periodic problems with cracks and leaks. Could the liquid hydrogen and/or liquid oxygen have been leaking on the SRBs? If you don’t think so, then what is your explanation for the SRBs being 12°F? For the record, the temperature never dropped that low during the night either. Furthermore, the vent at the top of the ET is 150 feet away, so the vent couldn’t have reached the bottom of the SRBs, either. Aren’t you curious why the SRBs were 12°F? The presidential report makes no mention nor offers any explanation of how the SRBs could be 12°F when it was a balmy 36°F outside. And it’s not like there weren’t a lot of smart people looking at this; Neil Armstrong, Richard Feynman, Sally Ride, and Chuck Yeager were all part of the investigation team. Did everyone miss this discrepancy? Why were more people not more curious about this puzzling temperature differentiation? Note to readers: Yes, I know this is a controversial subject and no, I am not against the Space Program. I had the honor and privilege to work on the Space Shuttle for 15 years. That position was the highlight of my career. By the way, I was at the launch pad on January 28, 1986. We view time travel as a science fiction fantasy, but has time travel been proven? Think about that question from a curious point of view. I’m not asking if time travel is possible, but rather whether or not the theory of time travel has been proven. 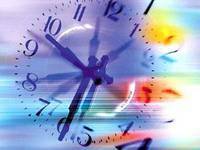 Although this may come as a surprise to some, time travel has been proven thousands of times. In fact, time travel is proven every single day. Einstein’s Theory of Relativity says that the faster an object goes, the slower time goes relative to that object. When you approach the speed of light, time will stop. Scientists can watch a particle degrade in a particle accelerator. They watch this occurrence thousands of times, and they know exactly how long it takes each particle to degrade. However, when you fly a particle in a particle accelerator past an observer at a speed near the speed of light, the particle takes ten, a hundred, or a thousand times longer to degrade. How can that be possible unless time was slowing down for the observer? The Global Positioning System (GPS) is essentially a bunch of clocks on satellites. GPS receivers pick up signals from the satellites and determine your position by measuring how long the radio signal took to get to your receiver and bounce back. GPS systems use geometry and triangulation to determine the distance. When the GPS system was being designed, someone raised the question, “What if Einstein’s theory was right?” The satellites fly around at different speeds and different distances from an observer on the ground. If Einstein was in fact correct, then the clocks would have all shown different times and the whole system would be worthless. As a result of this conversation, there was a big debate about the extra cost of upgrading the satellite system to update the clocks continuously based on the orbit changes and speeds. Guess what? Einstein was exactly right. Fortunately, they ultimately decided to spend the extra money to upgrade the GPS clocks. GPS clocks are updated continuously, every day, by a United States Air Force team known as the 2nd Space Operations Squadron (2 SOPS). Time travel has been proven many, many times. Conventional wisdom was once again … wrong. By the way, do you think Alzheimer’s is a form of time travel? Every person who has been through the U.S. or Canadian school system has studied the solar radiometer at some point in their education. The solar radiometer was designed by William Crooks in 1873. You know how a solar radiometer works, right? When the sunlight shines on the dome, the paddles spin. The more intense the sunlight is, the faster the paddles spin. But how does a solar radiometer really work? Do you remember? Despite what you might have learned in school, we actually have no idea. 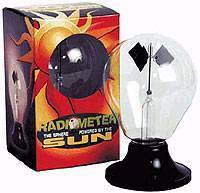 Nobody in the world knows how the solar radiometer works. Below are some common theories as to how the radiometer works. Beneath each theory, you’ll find the reason why that theory must be incorrect. o The air is warmer on the black side. o Why would it hit the black side anymore than anything else? o The radiometer would quit working when the gas is gone, but it doesn’t. o Why would the vanes blow in a single direction? We take all of these reasons why the radiometer works for granted, but in reality, none of these theories are accurate. Regardless of the fact that all of these teachings are incorrect, school teachers continue to perpetuate the “conventional wisdom” behind the workings of this machine. The radiometer is just one of thousands and thousands of things we are taught that just are not true. We have no idea how a solar radiometer works, yet we continue to teach our students inaccurate theories. What do you think that does to their curiosity? Conventional wisdom is wrong 100% of the time …..
in some context or percentage. Sadly, conventional wisdom kills curiosity – and without curiosity there can be no creativity. So let’s get curious for a moment. The shape was the only thing I had noticed that might be different. Truthfully, I was afraid to say anything at all, but after a long pause that seemed to span hours of time, I knew my boss was waiting for someone to throw out an idea. I also knew from experience that we weren’t leaving that room until we had come up with some new theories. “What is more hot-dog shaped?” Joe Lombardo, the general manager of Thiokol Corporation, demanded. Ammonium Percholorate (AP) is a major ingredient in the fuel used by Space Shuttle Solid Rocket Boosters. AP is a finely ground powder that could be mistaken for flour if you didn’t know any better. The burn rate of this particular batch of propellant was, well … acting funny. We had been over the specifications for the raw materials and everything was “nominal,” as rocket scientists often say, at least relative to the specifications. “Is the shape within specs?” Joe asked. Joe Lombardo had several signature phrases he used to encourage curiosity and critical thought. “Peel the onion,” was one of his favorites, “Let’s shake hands with the physics” was another. He wanted his team to remain curious at all times in order to get to the bottom of what was going on. Fortunately, I was curious enough myself to want to know why the propellant was acting funny before the meeting. I didn’t have any idea what I would find, but once everything was found to be within spec, I decided to look at the AP under a microscope, even though this step was not required. I compared what I saw under the scope to earlier data. Although I could not pinpoint the difference exactly, in general this funny batch seemed more hot-dog like. We learned through a subsequent investigation that the shape did have an effect on the propellant burn rate. We got a lot smarter by peeling the layers of the onion and always asking “why” (or why not).